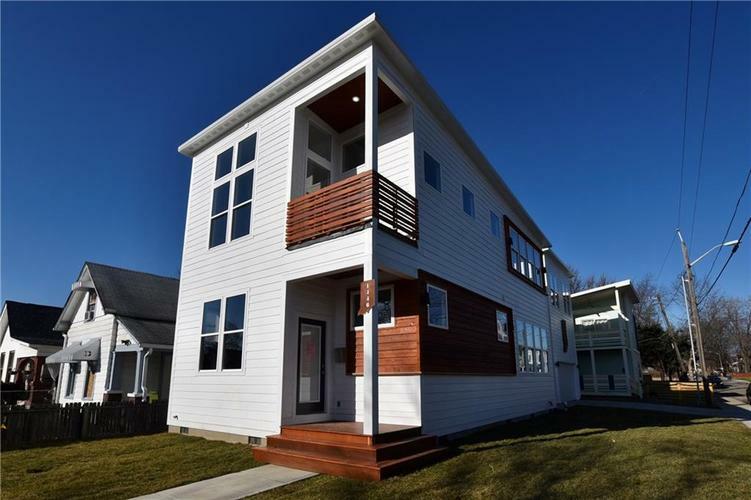 City living with parklike views and exceptional workmanship set this new construction home apart from the rest. Blankenship Custom Homes delivers everything you've dreamed about in this 3 bed, 2.5 bath home. You'll love the open, flowing floorplan on the main level. The custom kitchen includes hand crafted cabinets, new stainless steel appliances and granite tops. Upstairs are 3 large bedrooms, including the master suit, with an ensuite bathroom w/ double vanities and custom tiled shower. Also upstairs is a spacious flex space with endless possibilities. Enjoy the convenience of an over-sized attached garage. Steps away from the paved Pleasant Run Nature Trail. Please compare the build quality to everything else in FS in this price range!! Directions:From Shelby Street, go East on Orange street to Spruce. Go South on Spruce Street. Home is at the corner of Spruce Street and Terrace Ave.